Dr. Campbell is Personable and thorough. The staff is very professional and pleasant. Let’s not forget to mention the officeis very nice. Dr. Campbell is Personable and thorough. The staff is very professional and pleasant. Let’s not forget to mention the office is very nice. He took the time to review with me my test results and compare them to previous results to determine my status. 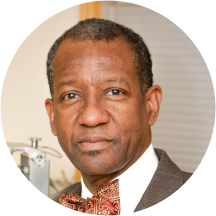 Dr. Joseph Campbell is a cardiologist and internist treating patients in Irvington, New Jersey and the surrounding communities. He holds certification from the American Board of Internal Medicine in Cardiovascular Disease. Dr. Campbell's primary goal as a practitioner is to ensure that each of his patients receives the highest available standard of personalized cardiology & primary care. Professional as always and informative of my health and well being. I thought he was an excellent Dr. He takes his time with his patients and cares about then so I would be going back to see him soon. The wait time can be a little long, but I realize it's because of his willingness to answer all questions, and to make sure you understand exactly what's going on. The service was accurate, courteous and professional as always. I would recommend Dr. Campbell to everyone.He really cares about his patients and treats us like family. Dr. Campbell is truly a professional in every sense of the word. I highly recommend him simply because he genuinely cares about people, not just as patients but as Family or a loved one. God bless him. The staff is highly unprofessional and unorganized. Shady business practices going on. Not clean, very worn out. Would not recommend, this is a place for your heart and not something to mess around with or screw up on. Fast and quick. In and out. He answered all my questions and explain everything to me. The office made sure I did not miss my appointment by constantly contacting me by text, email, and phone calls. The staff was pleasant.Dr. Campbell took time to review tests again and explain to me about my physical condition and why he recommended the course of action I had to take in order for my health to improve.